This modern Safavieh Adirondack area rug will instantly improve any room you place it in. Quality meets modern style in this indoor rug made out of plush polypropylene material. This machine-made rug will make a bold statement in your home that lasts. This beige tan rug has a stylish tribal pattern for your modern dicor needs. The contemporary look of this Safavieh Adirondack area rug adds style to any room. This indoor rug made from plush polypropylene material is both comfy and stylish. Its machine-made construction is sure to endure the constant treading of feet and furniture. Quality interior design comes in the form of this stripes patterned silver rug. 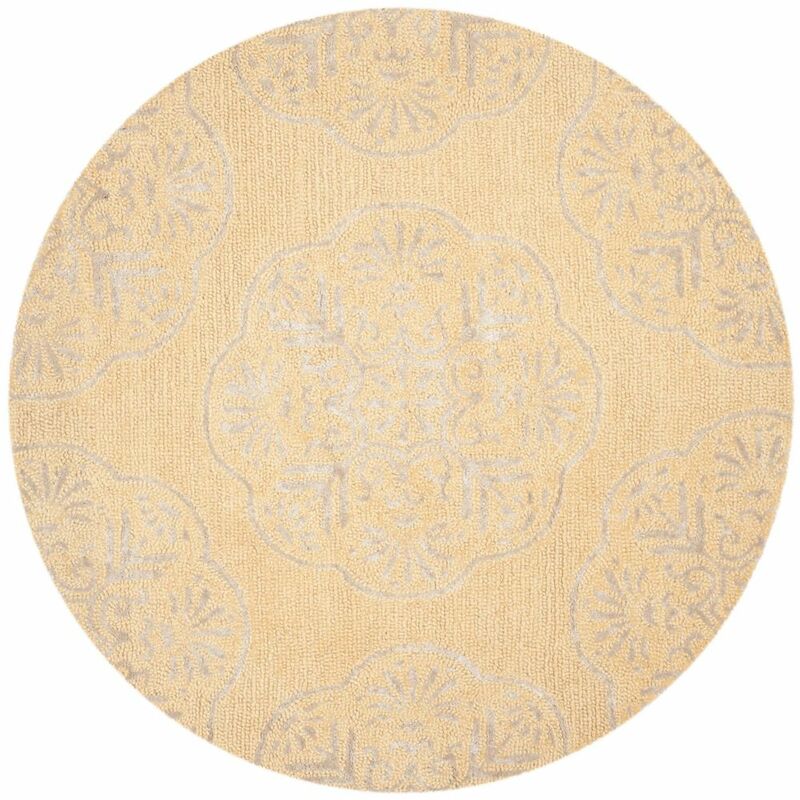 Bella Duncan Beige / Silver 5 ft. x 5 ft. Indoor Round Area Rug Spanning design influences from ancient tribal patterns and Renaissance damasks to contemporary pop art motifs, the Bella Collection celebrates weaving traditions around the world. Bella rugs are hand-tufted in India of pure wool for enduring beauty. This is a great addition to your home whether in the country side or busy city.